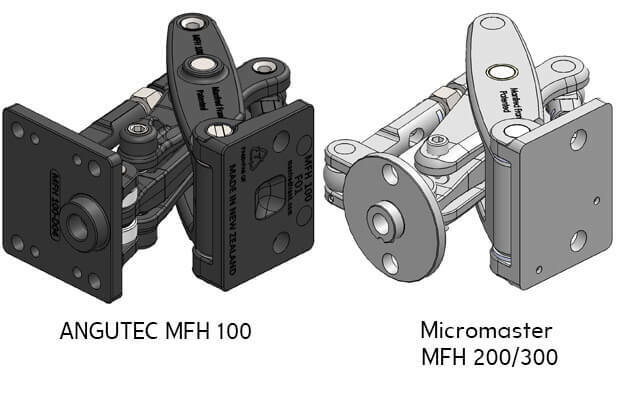 Both the ANGUTEC and Micromaster Series are designed with modular mounting fixtures. 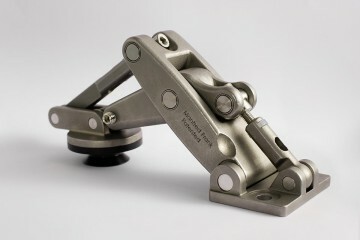 This enables hinges to mount to a diverse range of building materials with varying thicknesses and structure. 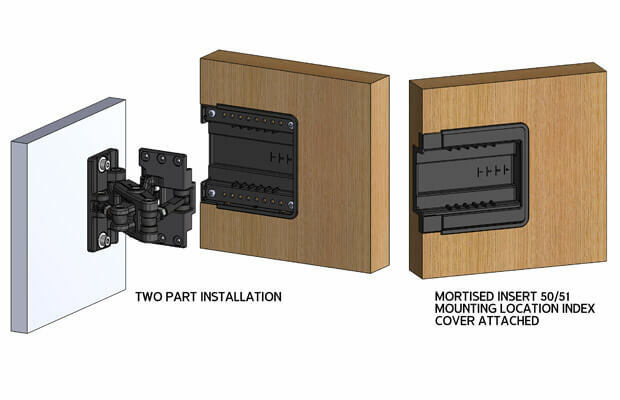 All door mounting options allow for in-situ adjustment under full load and are capable of all panel installation types, such as inset, overlay and curtain wall. Please Note: All materials mentioned are specific to the door/panel. For frame materials and information please see Frame Mounting Options. Door Mount D03 features a key slot design. 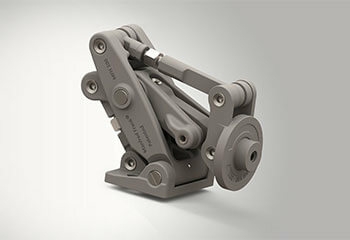 The shoulders of the key shape provide a favorable mechanical load transfer solution. The main download forces of panels are carried by the key shoulders, thus alleviating any stresses on the actual mounting screws. The mounting screws simply secure the door mount in place without having to take any of the panel weight. The key slot design is an extremely versatile fitting, which can be used with a variety of adapters such as extrusions and bonding plates. Manfred Frank Bonding Plates are made of Stainless Steel with an accurately dimensioned key slot and two threaded mounting studs/rods. The bonding plates are typically bonded to the back of panels using a suitable bonding/glue product. Once hinges are mounted to the frame substructure, the door panel with the attached bonding plates can simply be bolted to the D03 mount. 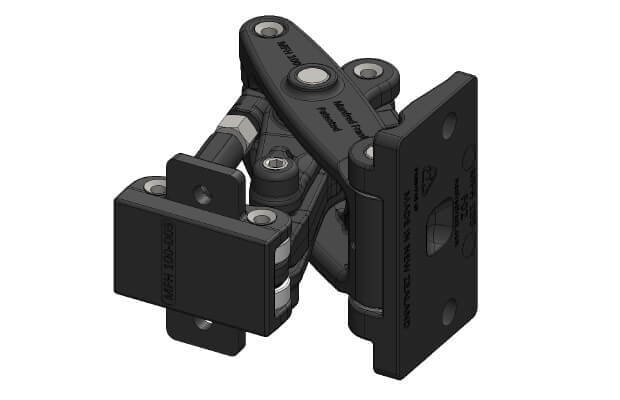 This two-part assembly design ensures a most efficient and safe installation process. Door Mount D04 is designed for surface mounting to non-glass panels. The Surface Screw Mounting features a protruding ø20mm stem, which is to be recessed into the panel surface. 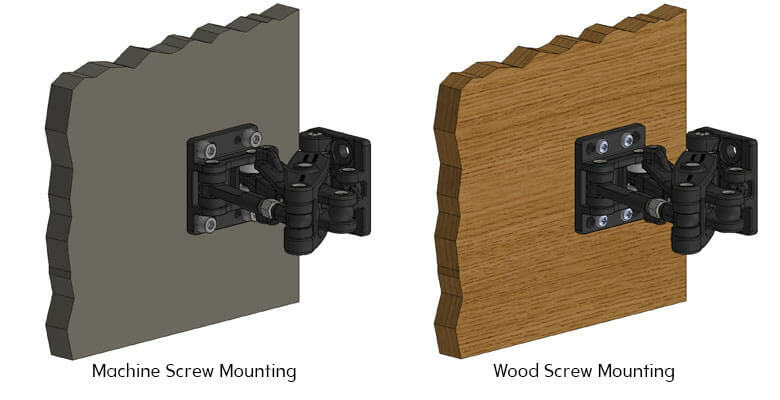 The main load forces of panels are carried by the stem, thus alleviating any stresses on the actual mounting screws. The mounting screws simply secure the door mount in place without having to take any of the panel weight. Door mount D05 attaches to insert-D50 and D51 which are mortised into the door panel. 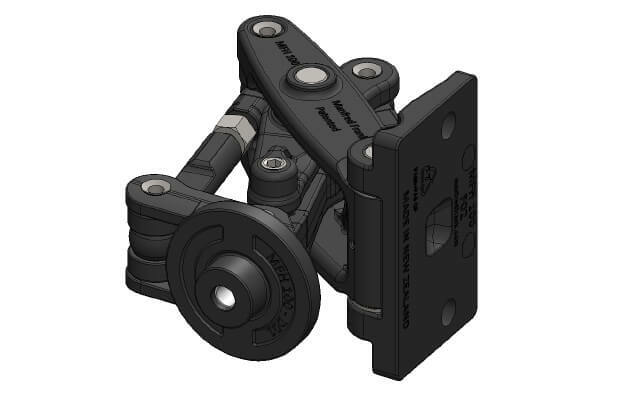 The D05/50-51 door mount is designed as an easy Snap-on 2 part assembly. The two main parts; the hinge body and the mortised door insert are safely and independently installed to the frame and the door respectively. Fitting the door panel to the hinge simply involves sliding the hinge door mount into the mortised door insert. The mortised door insert features clearly marked, indexed pre -aligned mounting locations. 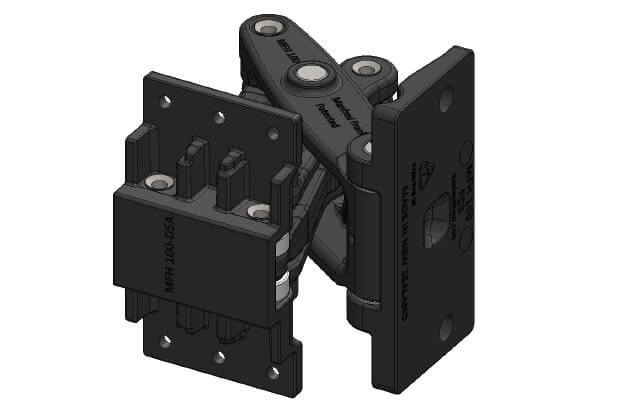 The indexed mounting locations allow for all installation types such overlay/inset and curtain wall with panel thickness from 31mm to 51mm to be achieved with a single fitting. 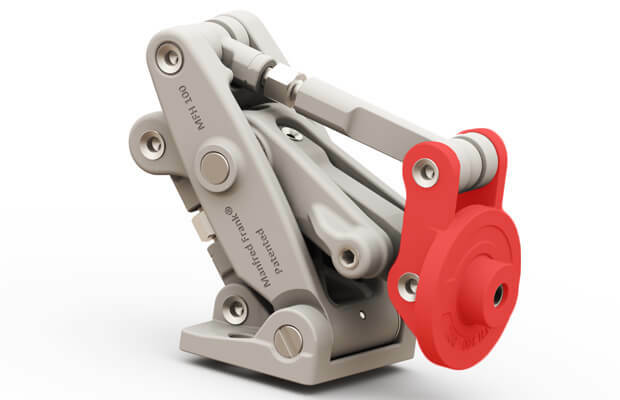 Manfred Frank patented load transfer technology ensures that the main load forces of panels will be carried by the mortised insert shoulders thus alleviating any stresses on the actual mounting screws. The mounting screws simply secure the door mount in place without having to take any of the panel weight. This unique feature allows for heavy and ultra wide doors to be mounted easily and safely. 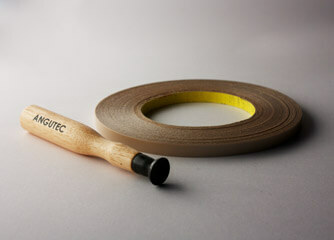 NOTE: The Mortised Insert Mounting is exclusive to the ANGUTEC series.